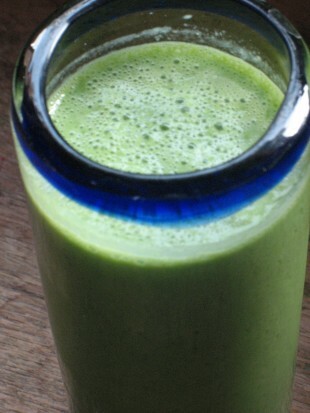 I make some version of this smoothie a couple of times a week for my girls and me. We love it because it is packed with superfoods and greens! Ok, grasshoppers aren’t one of the ingredients, but we like to pretend that they are because that makes it more fun to drink. The green color and the grassy smell could fool you though. So that’s why you’re all so bright-eyed and bushy tailed! It’s the grasshoppers!